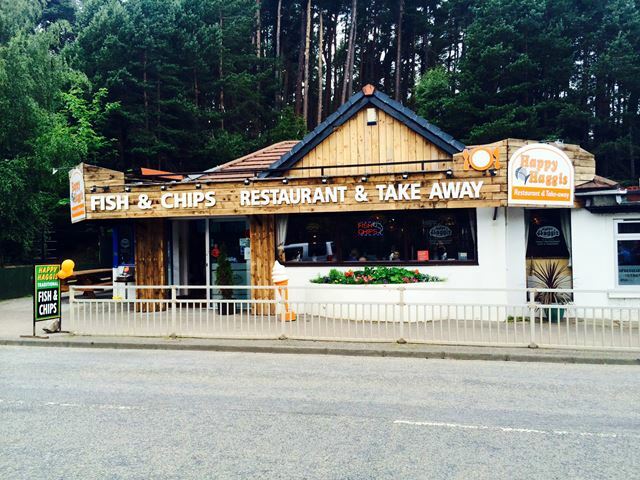 A home from home restaurant serving Aviemore’s best fish and chips. 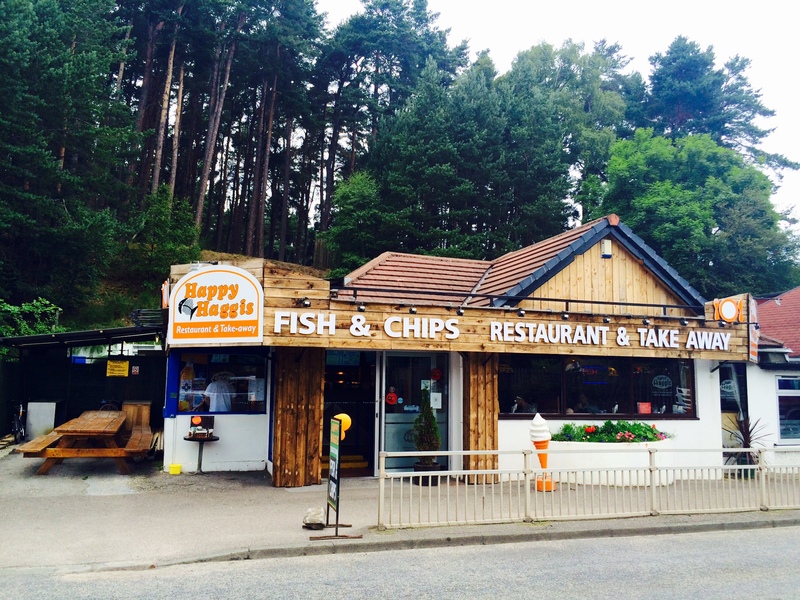 We are a Family run business and have been serving great food in Aviemore since 1974 . With the senior Harkai’s now fully retired as full-time Grandparents, their son Simon and wife Amanda have now taken on their role and wish every customer a very enjoyable experience. 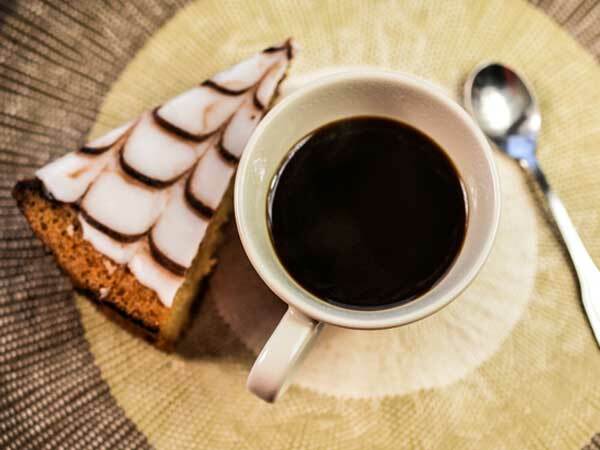 Also…… ” The perfect place to go for any occassion from BIRTHDAYS to STAFF DINNER to just a relaxing TREAT, come along and enjoy the warm welcome at “The Happy Haggis”. Parking?– We share a large car park with “Active Outdoor Pursuits” situated just next door to our shop. We also have a lay-by directly opposite our shop which is very convenient too. ALLERGIES? 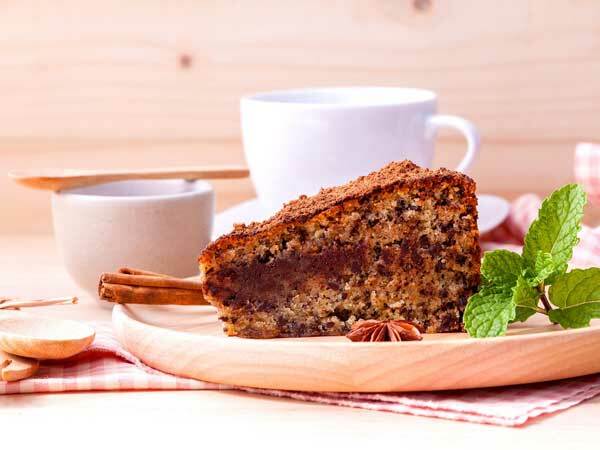 – Although we do our best to suit all customer’s food requirements, we cannot guarantee our food and ingredients are nut free etc, however we can accommodate most people’s needs. CHILDREN FRIENDLY?– Absolutely!! We, as a family-run business want all families to feel welcome and many say it’s “…like home from home”. With Children’s menus, toys and books, high chairs and changing facilities, your whole family can come along and enjoy our delicious food. BOOKINGS? Please phone us on (01479) 810430 and ask for Amanda. (Bookings are not always necessary). DISABLED ACCESS? – Easy access into our Restaurant and Take-away via a ramp, also hand rails in our customer toilets and Restaurant tables suitable for wheelchair access. (Please phone to reserve our wheelchair accommodating table to ensure it is available). CREDIT/DEBIT CARDS? – Most major cards are excepted, however our machine does NOT take American Express. We no longer accept Cheques (sorry for any inconvenience). VEGETARIAN OPTIONS? 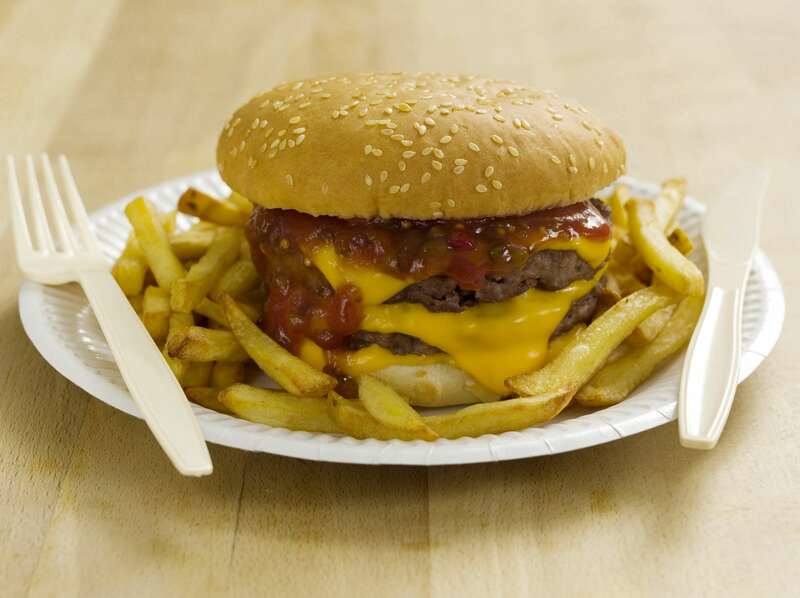 – We offer a selection of meals to cater for vegetarians, such as omelette’s, double egg and chips, “vegi” burgers, pizza, please see our menu to view full descriptions. Affordable Good food, with a friendly atmosphere. We supply the kids with crayons and pictures to keep them amused. 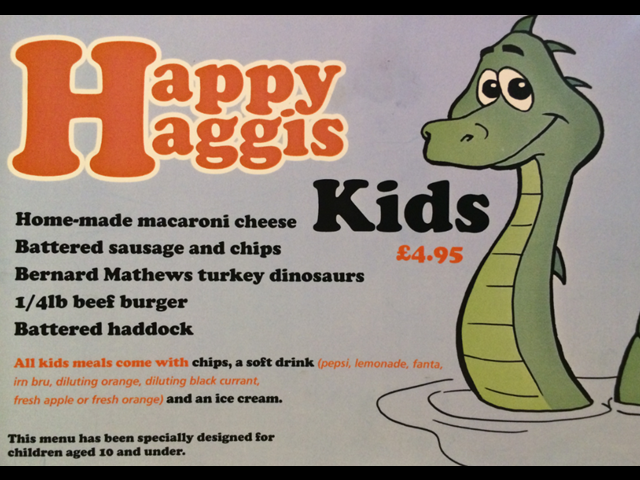 We have a wide children’s menu to cater for all the youngsters. Fresh sustainable fish always on the menu here. Fresh Homemade soup served with crusty bread. A foot long baguette topped with our homemade garlic butter and topped with mozzerella cheese then grilled till golden. Juicy deep fried mushrooms served with a garnish and a garlic mayo dip. Delicious haddock and chips, deep fried in our famous home-made batter.Serverd with fresh garden peas or home made mushy peas and tartare sauce. Deep fried till golden, served with chips, peas, garnish and a slice of lemon. A locally sourced delicacy lightly battered until perfect. Served with our home-cut chips, fresh garnish, peas and a slice of lemon. A delicate alternative to fried fish. Poached with herbs and served with a fresh garnish, peas and chips. Oven Baked in our own herb butter and served with chips, peas, garnish and finished off with a slice of lemon. Haddock fried in breadcrumbs and served with chips and a choice of garden or mushy peas. Choose from traditional fish. Each served with chunky chips and a choice of garden or mushy peas. 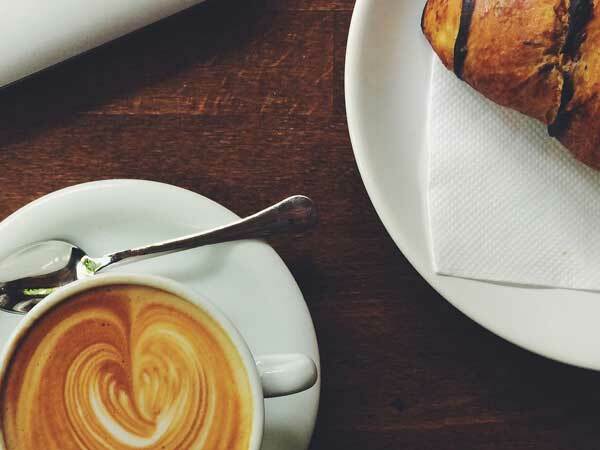 Also includes bread and butter, choice of tea, coffee or soft drink plus a vanilla ice cream. FAMILY MEAL DEAL – Only £35!! 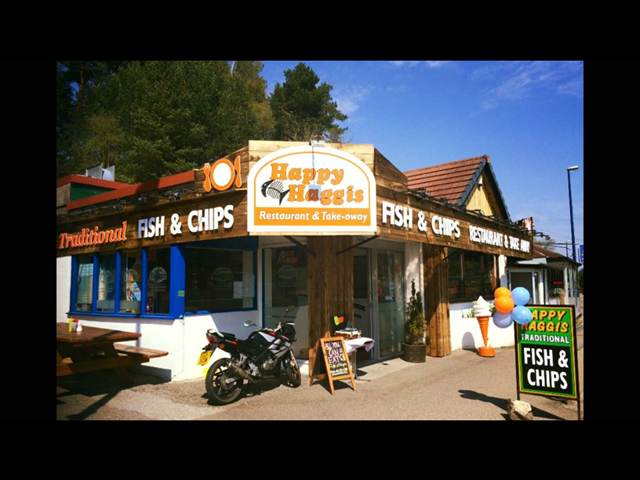 2 x regular Fish & Chips plus any 2 kids meals. Also includes a soft drink and ice cream for everyone. *All the above served in a toasted seeded bun with lettuce, onion and relish. Mouthwatering fruit cocktail with strawberry and vanilla ice cream, drowned in strawberry sauce, topped with whipped cream and a wafer. A whole banana sliced, topped with chocolate sauce, vanilla ice cream, chopped nuts, whipped cream, a wafer and a chocolate flake. Chocolate and vanilla ice cream covered in chocolate sauce, topped with whipped cream, a wafer and a chocolate flake. Delicious vanilla whippy ice cream drenched in hot fudge sauce, topped with whipped cream, a chocolate flake, chopped nuts and a wafer. 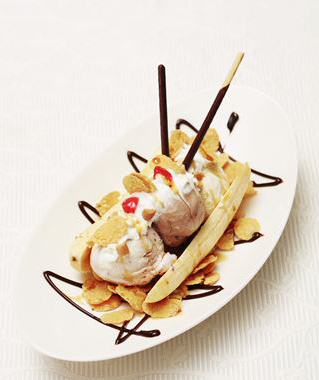 A whole banana deep fried in our home made batter served with soft ice cream and drizzled in maple syrup. 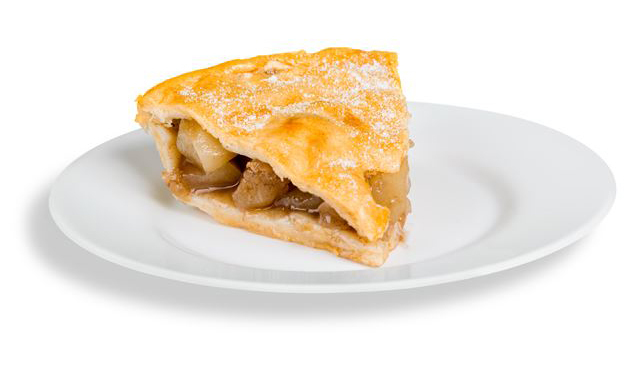 Mouth watering hot apple pie served with a choice of ice cream or whipped cream and a dusting of icing sugar. 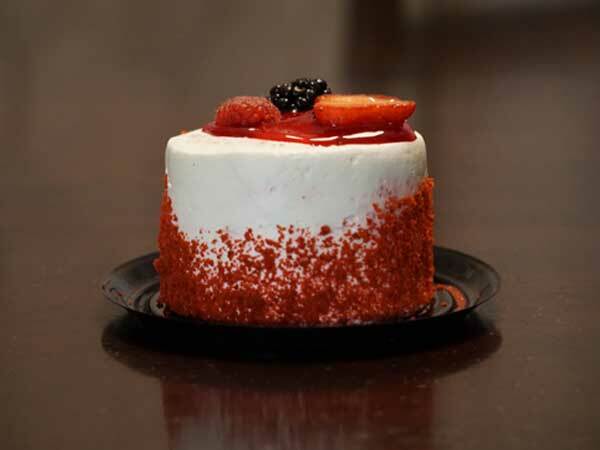 A delicious hot dessert complimented by ambrosia custard. 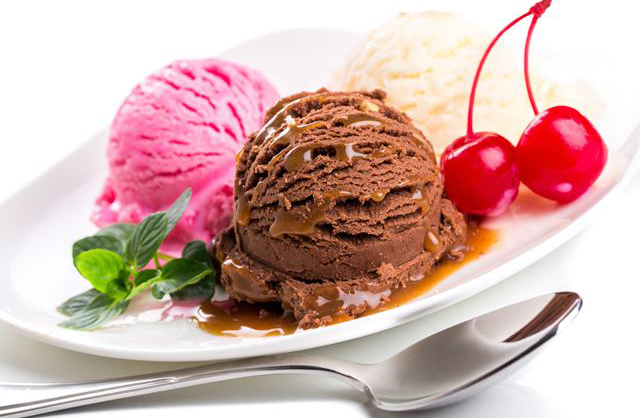 It’s a must try.. deep fried in our famous batter served with ice cream. 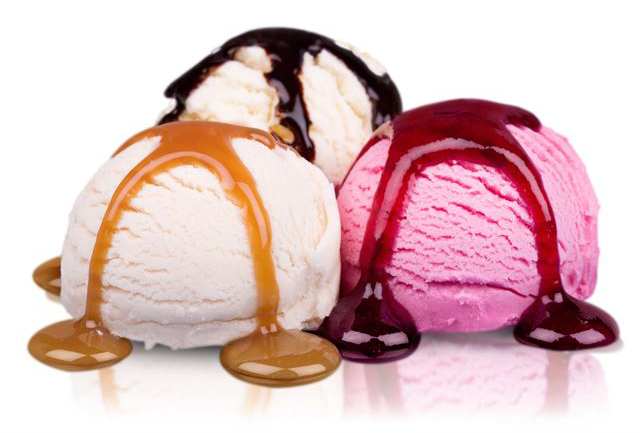 Choose from vanilla, strawberry, chocolate or mint choc chip served with whipped cream and a wafer. We’re at the south end of Aviemore on the main Street..